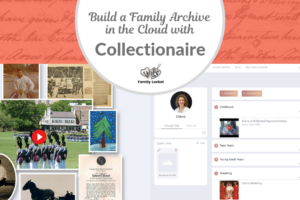 Where are you storing your valuable genealogical data? Is it safely under your control and backed up or is it on a third party website like Ancestry or FamilySearch? Have you considered using genealogical software to store your database but are unsure what would be best for you? 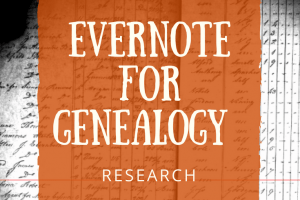 Today I’ll be sharing my top three reasons to keep your own genealogical information safe in a personal software database and give you some ideas for choosing one from the many options available. The collaborative online tree on FamilySearch lets you add living family members, but I don’t recommend using it for this purpose. The reason? When a living person dies, all of the individual records created by family members will need to be merged. You have to create a record for your living parents and grandparents to connect to your deceased ancestors, but you don’t need to add every living aunt, uncle, cousin, 2nd cousin, etc. A personal genealogical database is a much better option for keeping track of extended family. If you’ve tested your DNA at any of the large companies, you now have matches with hundreds of cousins. If you have stored extended family names and relationships in your database, you’ll be able to quickly see how you’re connected. I wrote about finding my 2nd cousin through DNA last summer and when I sent a message to my cousin, as soon as she referenced her grandmother, I was able to find her in my database. Thanks to my Dad and his family group sheets I had entered data for my Shults aunts, uncles, and cousins. If you’ve ever been frustrated because someone changed information for an ancestor on a collaborative, online tree, you’re not alone. If it hasn’t happened yet, it will and if you don’t have the information that you’ve researched in your own database, you may lose some of your work. You may be using a private or public tree on another major website like Ancestry, Find My Past, or My Heritage. No one can change these family trees but you, but what if you decide not to renew your subscription? Will you still be able to access your information? What if the company is bought by another company and the rules change? I have my tree on all of these websites because I value the hints generated, but I don’t rely on them to keep my research safe. Have you ever wanted to work on a research problem, but the internet connection is slow and the online trees are taking forever to load up? You can waste valuable time in going back and forth between pages just to see what sources have been found or look at relationships. A database on your computer doesn’t rely on the internet and can be used anywhere. There are multiple ways to view an individual and ways to sort information. A database is more powerful and has features that the online trees don’t have. Multiple companies provide genealogical software that allows you to build a database for your family tree. With all of the options, how do you choose? This question is asked at every presentation that I give where I mention having your own software. I always give the same answer. Of course the answer is no. The parking lot is evidence that everyone in the room probably drives a different make, model, and color of car. The same is true for software. What works for me, may not be the best for you. When you buy a car, you shop around. You look at reviews online to see what consumers think. You consider the price. You evaluate the features you need versus the features you want. You take a test drive. All of those actions apply to choosing genealogical software. Do an online search for genealogy software. You’ll find multiple articles giving various opinions. Read through the articles and take note of the programs that seem to be top picks. Then do specific searches for reviews of the software that most interests you. As you’re reading the reviews, pay attention to the features that each program provides. Do you want excellent charting ability? How easy is the software to learn and use? Can you add media? Is there a Mac version? Determine what you want to do with your genealogy. If you’re going to publish your tree as an independent website, find a program that works well for that. If you’d like to create a book with your data, look for that capability. Take some time to consider what you need now and what you might need in the future. Genealogy software is generally inexpensive – all the programs are under $100. Many of them only $29.99. Several programs offer a free version which lets you take the software for a spin and see how you like it. If it works well, you can upgrade to get all of the features or use the free version for awhile. You’ll probably have to pay for an update eventually, but generally the software will work for several free updates. How important is it for you to be able to sync your online tree with your personal database. If you’d like to be able to enter the information into your personal database, then sync that to your online tree, look for that feature. Several software programs allow you to sync with FamilySearch Family Tree or Ancestry trees. This can be a time saver and an important consideration. 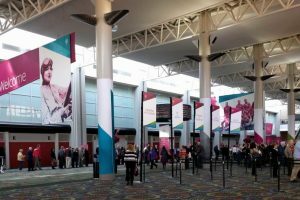 If you choose a program and end up not loving it, the beauty of the genealogy world is the Gedcom. This is the file format used by every genealogy software database to import and export data. If you have built your family tree in a program and want to try another, it’s simple to export a Gedcom containing your data and import it into a different program. Names, dates, and relationships will be preserved. Media files will likely not make the transfer, so wait to add media until you’re sure you like your choice. What do I use? I’ve used Ancestral Quest, Legacy, RootsMagic, Family Tree Maker, as well as online trees at all of the major sites. At this point, I need a simple, straightforward software program and I use Ancestral Quest because it syncs with FamilySearch. The collaboration feature lets Nicole and me both work on the same file. She can check it out from the cloud storage and make changes, then check it back in. When I check it out, her changes are there. This works well for us at this stage of our research. Click on the images in the collage below to see screenshots from the programs I have used. Whatever software you choose, make sure you are diligent about backing up your database. Have a plan that includes off site storage, either in the cloud or an external hard drive in a different location. Multiple copies of your research will let you sleep well at night. Family Historian 6 from England is a really good program, too, and easy to use. Thanks for the shout out for Family Historian. I’ve never tried it, but heard good things about it. I would add a 4th great reason – the ability to make lists, reports, charts and books. The only online tree that does one-page charts well is FamilySearch Family Tree. I make lists all the time, and charts and reports occasionally, and books rarely. Ancestor and descendant reports are really useful as documentation and cousin bait when published on a website. I use Scribd.com to publish my reports for free, and Google search finds the content. Thanks for these excellent ideas! It is always helpful to see how others organize their genealogy work. Reports and lists are a big reason why I have Legacy Family Tree, Family Tree Maker and RootsMagic (overkill but I was trying to figure out which one I like best so I bought them all). My “working tree” is on Ancestry which I sync to FTM but Legacy is the powerhouse reports-wise so a copy is periodically exported for that. This is a good example of trying out various programs to find what works for you. Thanks for sharing! I may need to revisit Legacy and try out the list function. There is always something new to learn, which is why we love what we do! I have tried out a couple of programs by using my complicated grandfather. I know all about his birth mother and some things about his ‘foster family’ (all takes place before legal adoption in the UK). So, when a program will not allow adoption and birth information plus letting me have ‘no father’ for him, in the midst of other births — that’s a rejection of that software. After all, it would be irresponsible for me not to include all that messy detail. And I don’t want it only to be in ‘notes’. I have not explored all the ‘big names’ in software yet but definitely will choose one that has a lot of latitude as to birth and adoption information and a child going by 2 different names! I told you he was complicated but in this day and time, I think this ‘2 ancestries, 2 names’ situation is more common than ever. You are absolutely right, the software does need to let you include all of that information! Let us know what you settle on.